Sunday, November 17, 2013 at 8 p.m. ET, the eighth episode of ABC’s “Once Upon a Time” will air. This episode is titled Think Lovely Thoughts. Pan guides Henry to a secret cave. Pan talks Henry into believing that he is the only one who can save magic and Neverland. This leads the rest of his family to face a showdown between good and evil. 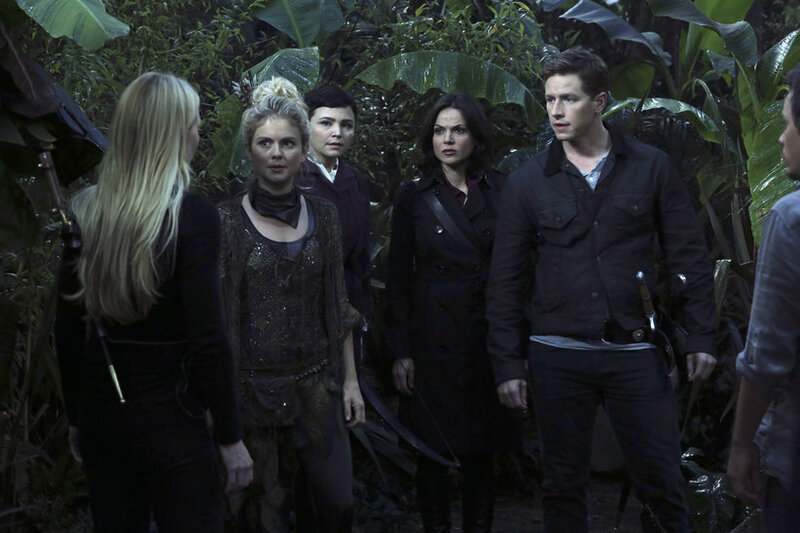 Emma, Mary Margaret, David, Regina, Mr. Gold and Hook end up in the direct path of Pan in effort to save Henry. Back in Fairy Tale Land, young Rumple was given a magical item. This item is what could lead him and his father to a completely new start together. However, his father has been a horrible role model. Guest starring are Robbie Kay as Pan, Rose McIver as Tinker Bell, Wyatt Oleff as young Rumplestiltskin, Colin Corrigan as thug, Stephen Lord as Malcolm, Lindsay Collins as spinster #1, Glynis Davies as spinster #2, Freya Tingley as Wendy and Marilyn Manson as the voice of Shadow.